Nevskite: Mineral information, data and localities. Named by G.N. Nechelyustov, N.I. Christyakova, E.N. Zav'yalov in 1984 for the type locality Nevskoye W–Sn deposit, Magadan region, Russia. 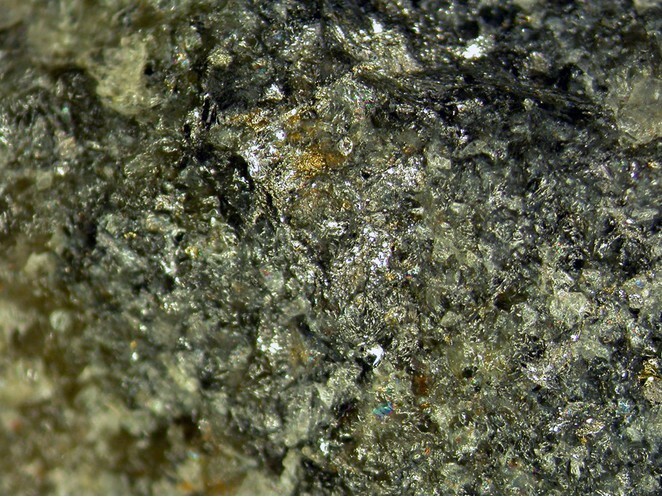 This page provides mineralogical data about Nevskite. A.E. Fersman Mineralogical Museum, Academy of Sciences, Moscow, Russia, 82673. Chalcopyrite 4 photos of Nevskite associated with Chalcopyrite on mindat.org. Laitakarite 2 photos of Nevskite associated with Laitakarite on mindat.org. Gaudin, E., Jobic, S., Evain, M., Brec, R., Rouxel, J. (1995) Charge balance in some BixSey phases through atomic structure determination and band structure calculations. Materials Research Bulletin: 30: 549-561. 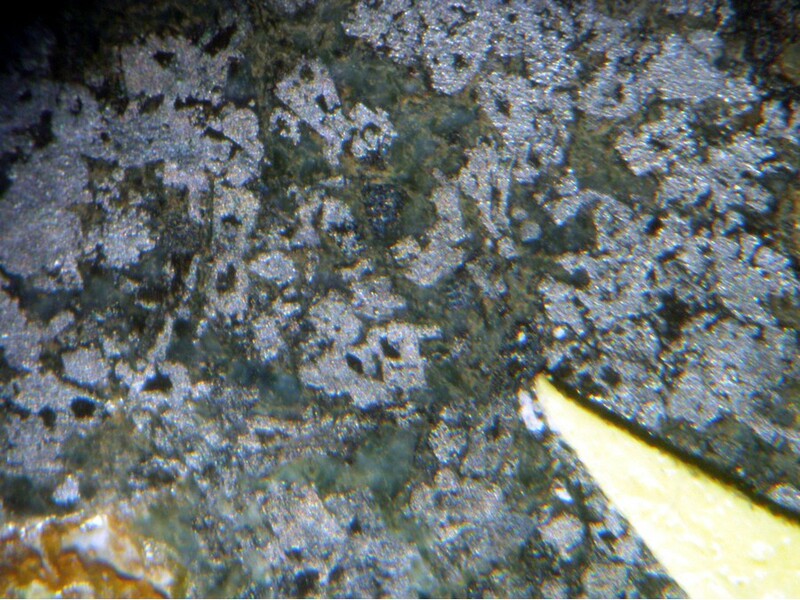 Förster, H.J., Tischendorf, G., Rhede, D. (2005) Mineralogy of the Niederschlema—Alberoda U — Se — polymetallic deposit, Erzgebirge, Germany. V. Watkinsonite, nevskite, bohdanowiczite and other bismuth minerals. The Canadian Mineralogist: 43: 899-908. Locock, A.J., Piilonen, P.C., Ercit, T.S., Rowe, R. (2006) New mineral names. American Mineralogist: 91: 216-224.
ⓘ Otish Mountains U deposit ? Förster, H.-J. 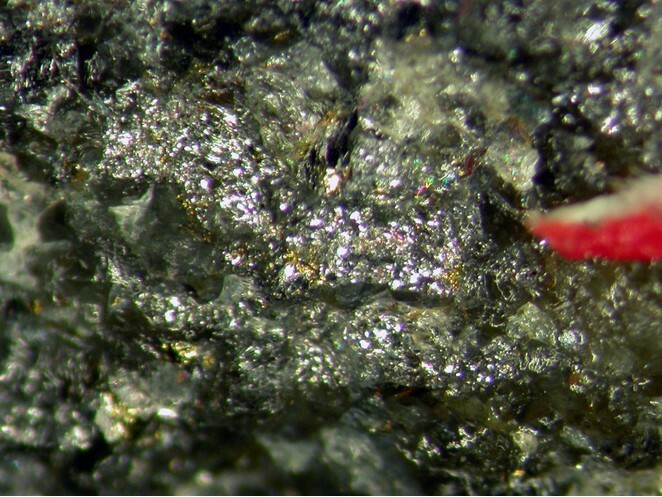 ; Tischendorf, G. & Rhede, D. (2005): Mineralogy of the Niederschlema-Alberoda U-Se-polymetallic ore deposit, Erzgebirge, Germany. V. Watkinsonite, nevskite, bohdanowiczite, and other bismuth minerals. Canadian Mineralogist, 43, 899-908.